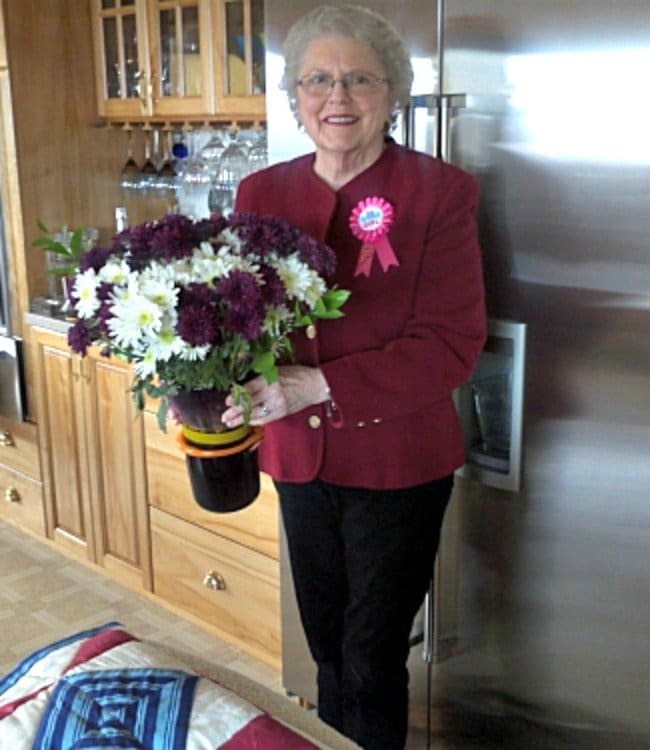 Many of you who have visited Lovefoodies will already know our Foodie Friend Nanny Pat, after making her Apple Pie recipe. You may even have chatted with her or seen her delicious dinner photos at our Lovefoodies Facebook group. 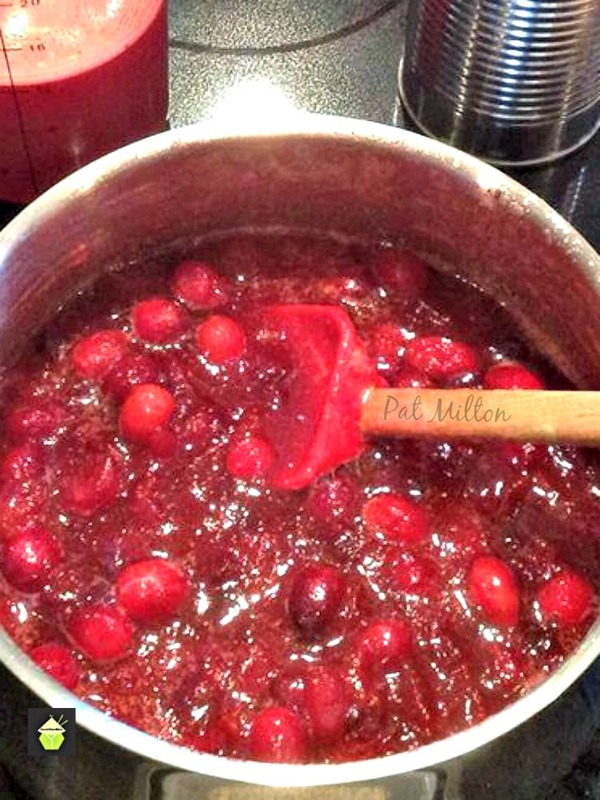 Nanny Pat is always busy cooking something tasty up in her kitchen, and here we have got one of her star recipes, Nanny’s Easy Cranberry Sauce, which is often served like in the photo. Here’s what Nanny Pat says about her sauce: “It is a loose sauce, and it goes with everything; pork, chicken, duckling, etc. I love it spread on our rolls, when we make turkey sandwiches with lettuce, and we also add a bit of mayo. We live in the Lakes Region area in N.H. and have lived in 4 towns in N.H. for 51 yrs., and we love this State in the USA..We have 5 grandchildren, from 21 to 7, and they are the “Apple” of our eyes..(couldn’t resist that)…We are always cooking, something when they come, and pray, they will have those memories forever….The winters are getting challenging as we grow older though…Enjoy…and let me know how you like it. 1. 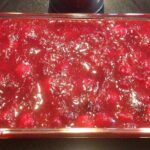 Wash & drain cranberries, discarding any bad ones. 2. 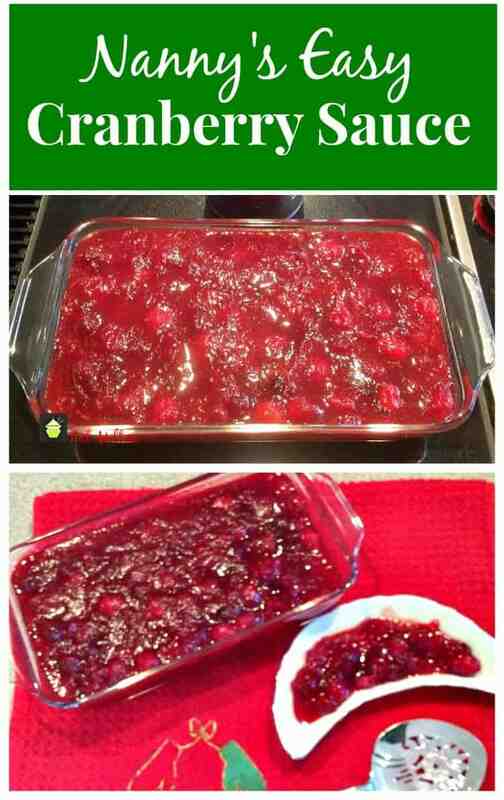 In a pan, add the cranberries, sugar, water, and orange juice. 3. Bring to a boil, turn down and let cook until thick enough to suit you. For best results, refrigerate so it has a chance to set a little. Overnight is best if you have time! Serve with your turkey, chicken, pork, cold cuts, anything you like! Wash & drain cranberries, discarding any bad ones. 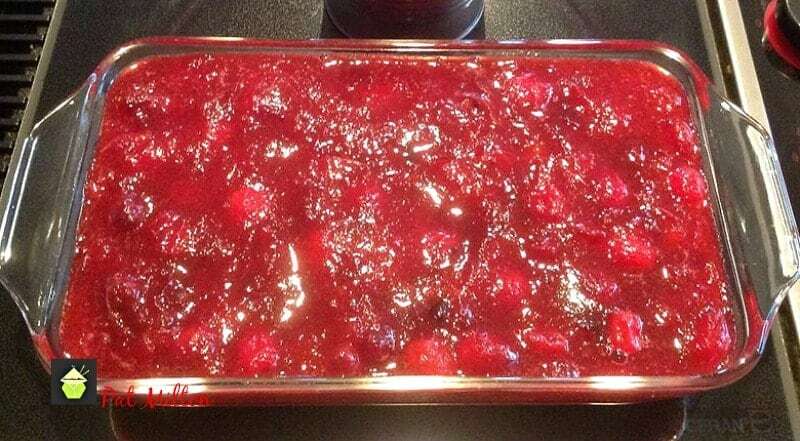 In a pan, add the cranberries, sugar, water, and orange juice. Bring to a boil, turn down and let cook until thick enough to suit you.